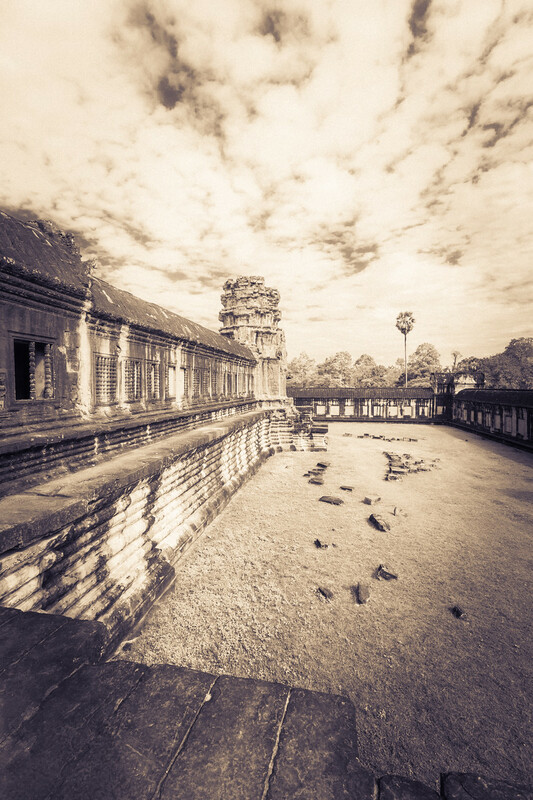 Continuing my theme of BIG PLACES, I give you the temples of Cambodia! 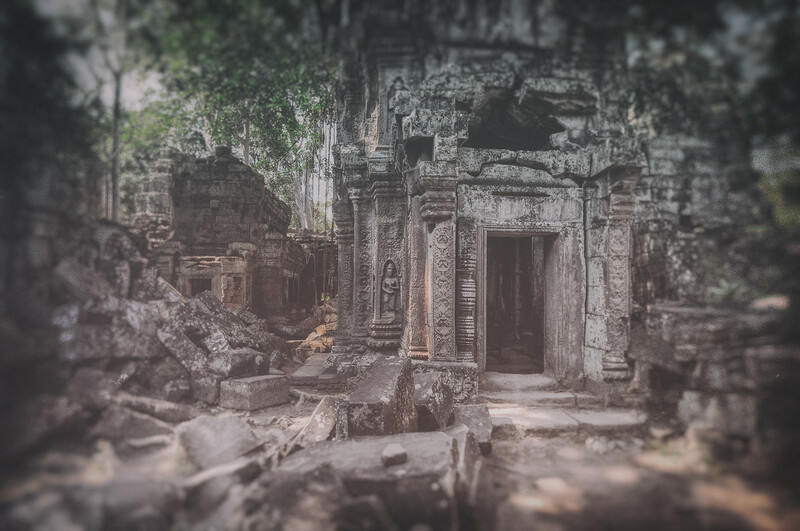 This one I believe is Ta Prohm, but given the maze-like winding I did at somewhat breakneck speed, I am doing good to recall where I was at all! There are throngs of tourists, but you still can’t help but sometimes seeing the place through the lens of western video games. Technically Tomb Raider was shot at Ta Prohm and this is Angkor Wat temple, but being American, I can’t help but tell you how much I felt like I was in a movie! Sure there were hoards of tourists and guides, but there is something amazing (and terrible) being able to freely explore this ancient temple complex! 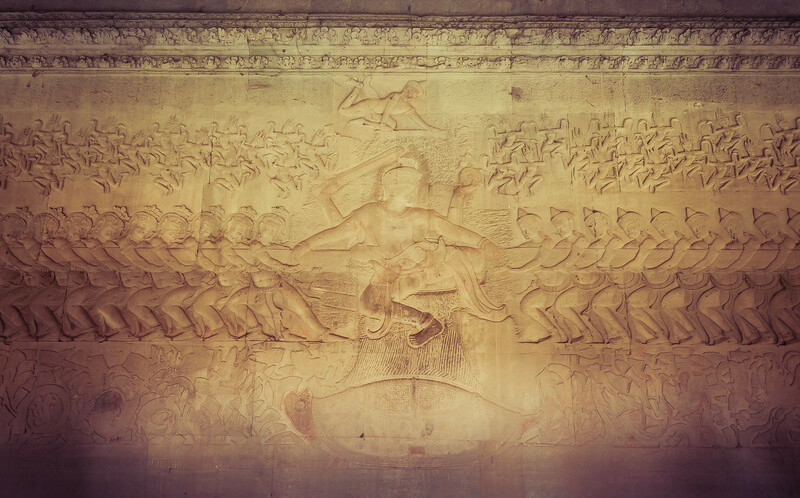 This is one of the most famous carvings in Angkor Wat temple and perhaps all of Cambodia. The Churning of the Ocean of Milk tells the story of a battle between Devas (gods) and Asuras (demons) to gain supremacy on the Earth. The two sides battled in a great tug-of-war struggling while pulling on the Naga (a mythical snake creature) thus causing the great churning of the ocean of milk and things to be revealed in the turmoil of the ocean including the Amrita (the elixir of immortality). In the process they numerous times petitioned the help of Vishnu who aided the Devas. In several ways the Devas tricked the Asuras and gained supremacy in the world, sending the demons to hell. This is of course my rendition from what my guide at Ankor Wat shared of the story. I am still trying to work my way through how this story relates to modern times. Perhaps this is further complicated as this is a Hindu sculpture inside a Buddhist temple.